Made of ultra-fine artists' pigments, Caran d'Ache Pastel Pencils are drawing tools of the highesty quality. These dry pastel pencils have exceptional lightfastness, rich and vibrant colours, and a creamy coverage. 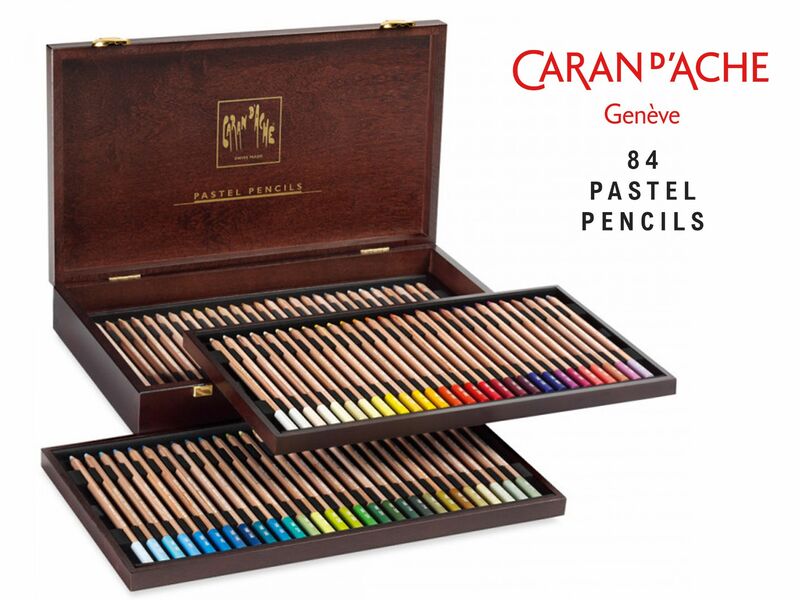 Caran d'Ache Pastel Pencils are presented in a sturdy foamlined box to prevent the leads from breaking in transit. The large leads (4.7mm) can be sharpened to a strong point for drawing fine detail. The leads are housed in a high quality cedar wood casing to prevent damage during sharpening and use. These hexagonal in shaped pastel pencils work at their best when sharpened with a knife or sandpaper block.